In the year 2359, the Technocratic Terran Empire attacked a fledgeling warp civilization taking its first steps into interstellar space - the Dar. The first generation Dar explorers stood no chance against the veteran TTE fleet, and within days the Dar had lost over 90% of their warp-capable ships. With extinction imminent, the Dar nations loaded their remaining craft full of the brightest minds Dar Prime had to offer and sent them off into the void fleeing the enemy advance. TTE ships arrived hours later and fired on Dar Prime from orbit, extinguishing all life on the planet. Decades later, the Dar have rebuilt and militarized. 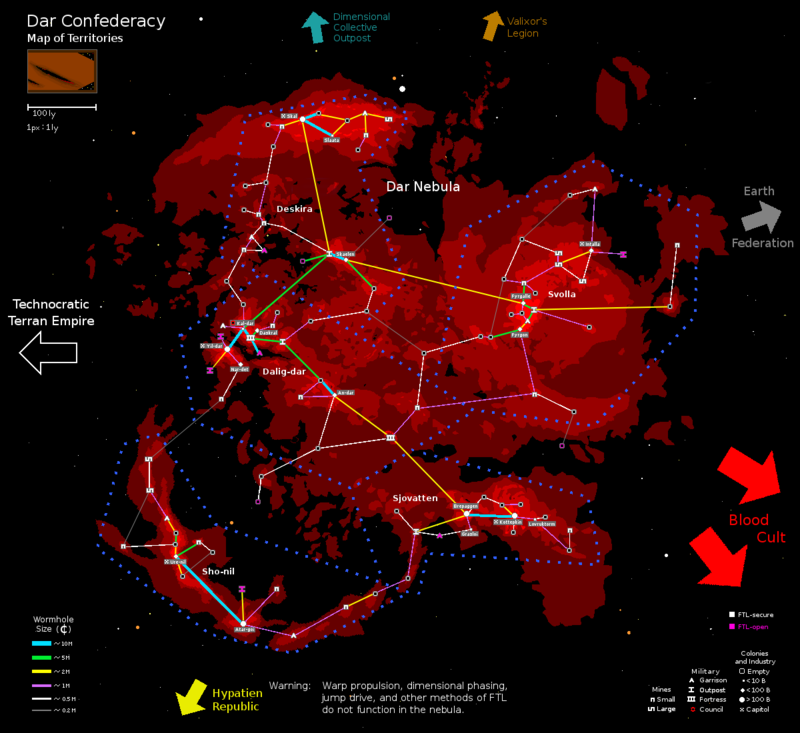 Each of the old 5 Dar Prime nations maintains a sovereign government in the Dar nebula, but each territory is a member of the Dar Confederation and contributes to the Confederate Council. There is frequent infighting among the territories, but never enough to threaten the Confederation's solvency. The network of micro-wormholes has been explored, and many colonies, mines, and military outposts have been established. For the first time since losing their homework, the Confederate Council has begun to venture outside their nebula in search of allies, trade, and technology. As a side effect of their near annihilation, the Dar have been heavily eugenicized. They are highly intelligent, hard-working, practical, and willing to sacrifice for the greater good. They are also quarrelsome, territorial, uncreative, and extremely xenophobic - perpetually watching for invaders from outside the nebula. Wormholes act as natural choke points, giving the Confederation a massive defender's advantage against potential foreign invaders. Important passages are guarded by massive weapon barges and armored fortresses. 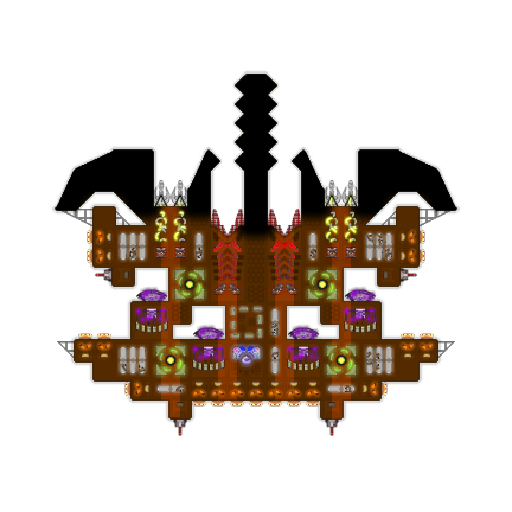 Warships developed during internal conflict rely on heavy armor and powerful engines to muscle through wormhole defenses. Very few ships are equipped with FTL drives, since they are useless inside the nebula and members of the Confederation generally fear contact with foreign factions. They have no unique technology (no mods). Easily the strongest of the territories militarily, Dalig-dar maintains massive fortresses and has numerous shipyards orbiting its colonies. Dalig-dar lacks in natural resources, but trades warships and military technologies to keep its shipyards supplied. 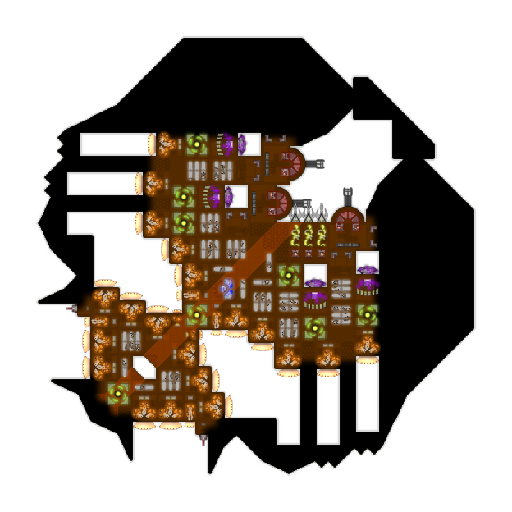 It has the largest (but best defended) FTL-open wormholes. The Confederate Council is currently headquartered in Dalig-dar, at Kal-dar. Deskira has significant natural resources as well as the industry to use them. They have a strong economic focus. They maintain outposts guarding their many, large FTL-open wormholes but lack the ships to garrison them all effectively. Deskira is the most self-sufficient of the territories, but also one of the most vulnerable. As the most resource-rich of the 5 territories, Svolla does great business trading with their resource-poor neighbors. They have a strong military, and also have few and small FTL-open wormholes. Both the smallest and most populous of the territories, Sjovatten has a wealth of industry and labor. They are the manufacturing hub of the nebula, and produce more ships than any other territory (though Dalig-dar produces more warships). 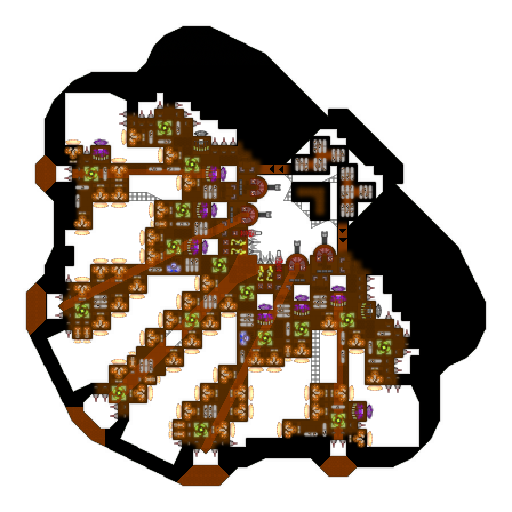 Sjovatten has the weakest territorial military, but also the fewest (and smallest) FTL-open wormholes. Isolated from the other factions, Sho-nil has little manufacturing, but many research facilities. They trade excess resources with nearby territories. 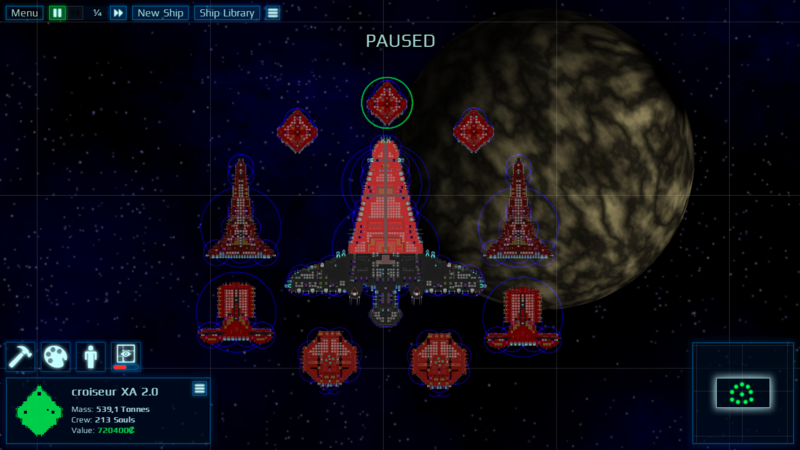 Sho-nil has both a strong military and few FTL-open wormholes. The Confederate Council has relatively few ship models, specialized for homeland defense within the nebula. Individual territories maintain their own, classified designs. The Nazas Patrol Boat (GP-E04I02, ¢200K) is the smallest direct-combat Confederation ship, designed to fulfill a variety of roles. They are primarily used as scouts, escorts, and guards for low-risk facilities. The Payara Destroyer (ASLT-C03E03, ¢500K) is the bread-and-butter ship of the Confederate military, designed for fighting point-blank and equipped with powerful engines, heavy armor, and respectable firepower. These ships are mid-weight by Confederate standards and are usually used for incident response, search-and-destroy, and guarding high-risk facilities. The Payara Battlecruiser (ASLT-C03E04, ¢1M) is the big brother of the Payara Destroyer and most powerful of the Confederation's warships. Powerful enough to smash through defensive lines, armored enough to survive heavy fire, and fast enough to chase down fleeing transports, these ships are designed to fight a variety of hostiles, and prefer to fight at point-blank range. Only a handful of these have been built, and all are currently berthed in Dalig-Dar fortresses. 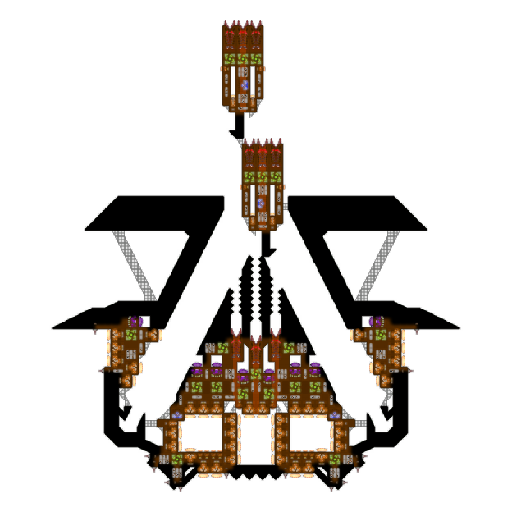 The Mitsukurina Battlecruiser (ASLT-I09, ¢1M) is an experimental design still in testing. It packs impressive firepower once the ion subships align in their housings, but has serious control issues. The only prototype is currently being refined in the shipyards at Brepaggen. In addition to its standard models, the Council maintains a variety of missile barges, laser barges, and PD boats on loan from various factions. 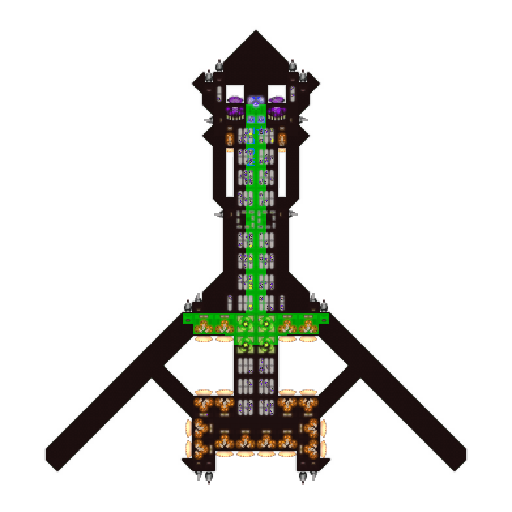 Several defensive platforms are also stationed at Council Headquarters (Kal-dar). TheCommander Before discussing diplomacy, do you have news of the Technocratic Terran Empire? This is the first contact we have had with foreign factions in many years, and we would prefer to be cautious. We do not want a repeat of what happened 50 years ago. Dalas120 We are the XA Empire, we warn you of danger if you declare war on TTE by joining AA. You declare war against all your neighbors because these are against AA. We prefer to leave you alive because even if we lose, I doubt that there will be anything of you. In addition, your allies would be destroyers or galaxy invaders, which would only change your problem. TheCommander We have no interest in any huge galactic war. This is why we stay in our nebula. Thank you for the offer of an alliance, but an alliance would mean a commitment to join your war, and the last war we entered into nearly wiped out our species. We are in no hurry to do so again. TheCommander We must still decline your defense contract, as it might make us a potential target. Staying off the radar is safest until we understand better the position of the TTE and whether they might invade. We believe we are strong enough to defend our territory against them, but there is no way to be sure. However, we would be willing to arrange a 1-time trade of metals for research. We are particularly interested in terraforming technologies, since there are relatively few habitable planets accessible within the Dar Nebula. What terraforming technologies do you have access to? TheCommander Haha we'll take it. In return for 60 kilotons of metals available at Kal-dar in 3 weeks. You'll need to send a FTL-capable ship to pick it up. What exactly is this war? Who are the sides? What are their relative strengths and motivations? TheCommander You do not intend to fight with that. Moreover, we are here as a diplomat, and since you were our first ally, we are not taking any action against you. Dalas120 The Zakaran sides, which contain about twenty countries, including the TTE, are in coalition against the AA, a worse antity than the TTE for you, who will not hesitate to massacre you if they win, because they came to take the galaxy, and believe, alone, you do not do the weight against their huge (without laughing) ship. They are allied to the Blood Cult who swears by the blood of his victims, and the Darkness who are there to destroy the universe. Gladiaxa What does AA stand for? And are AA and Darkness on the galaxy map? Just trying to figure out how everything fits together (this is my only faction).